A Centre of Sri Aurobindo Society is therefore a meeting point of individual and collective sadhana, of dedication in service of the Divine. In order to start an Affiliated Centre, all that is required are twelve interested persons in an area. There is no fixed rigid programme laid out for Branches and Centres. They can develop and add new activities according to their inner needs. They include meditations, talks, seminars and conferences; running of educational institutions; sports; dance, drama, music classes; research programmes; teachers workshops and camps. The spirit in which the activity is undertaken is the key as all work can be a means of self-development and an offering to the Divine. An Affiliated Centre can be very simple and informal in its structure and working. As its activities expand and grow it can become a 'Branch' of the Society, which is legally, financially and administratively a part of the Society, fulfilling several statutory obligations. The school offers transformative, integral education to children which would enable them to be agents of change in society. Sri Aurobindo Society, Hyderbad provides an oasis of peace for spiritual seekers of the twin-cities of Hyderabad & Secunderabad. Located right in the middle of the city, at Musheerabad, the Society branch has a meditation room, a well-stocked library and most importantly the relics of the Mother and Sri Aurobindo. Sri Aurobindo School, Chandigarh strives to provide integral and holistic education by incorporating modern tools of teaching with traditional methods of learning. SACAC is situated in Delhi branch of Sri Aurobindo Society. It is a multi-disciplinary mass communication and media arts institute with an eye on the future. SACAC began with the firm belief that open, creative and responsible media have the power to shape a diverse, exciting and just world. It offers a variety of diploma and short term courses ranging from Advertising, Audio and Music production, Photography, to Graphic Design and Creative Writing. 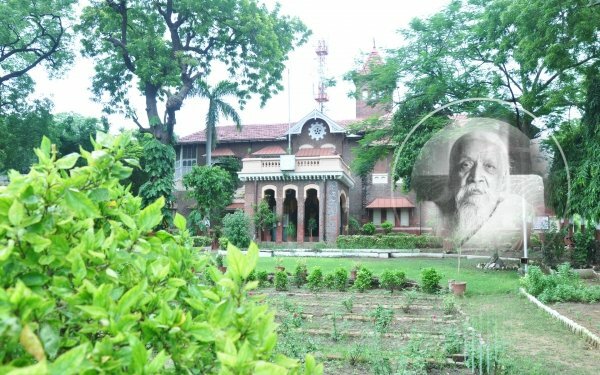 During his stay in Baroda, Sri Aurobindo stayed in a bungalow, which is now known as Sri Aurobindo Nivas. Presently, the place is a permanent memorial to Sri Aurobindo aiming to spread His message and teachings among the people. 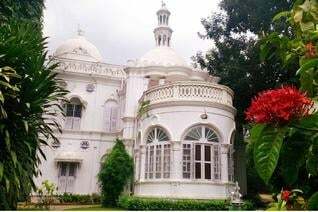 Sri Aurobindo Bhavan, Halasuru is housed in a palatial building and is surrounded by lush green trees and a garden that compliments the bungalow. The branch is engaged in making known to the general public the thoughts and ideals of Sri Aurobindo and The Mother. 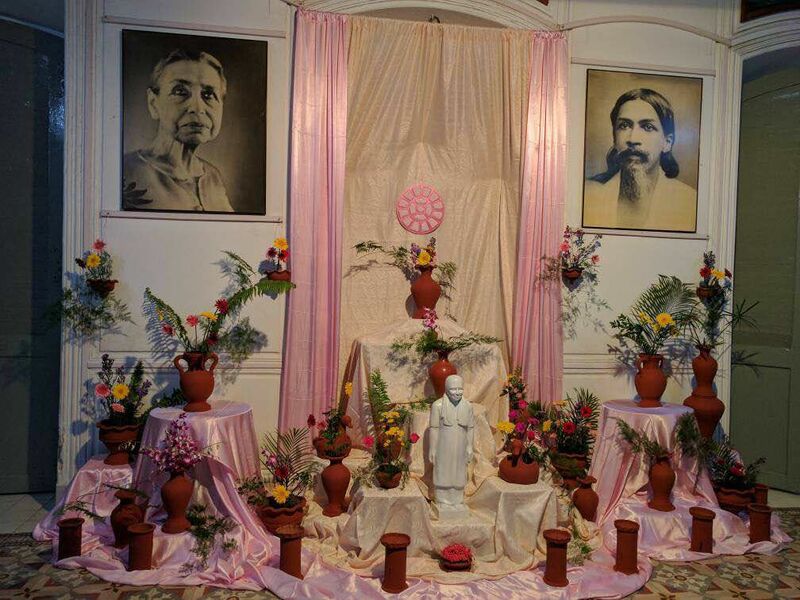 The relics of Sri Aurobindo have been enshrined here. It has a prayer hall, a sales counter, a library with a collection of all books written by Sri Aurobindo and The Mother. Dormitory facilities are available for those who wish to stay and experience the serene atmosphere of the place. It organises regular weekly study programmes, collective meditations, talks by knowledgable persons and various workshops and camps. Sri Aurobindo Bhavan, Halasuru's campus houses the Auro Mirra Internaitonal School, a new age school that aims to offer an Integral Education helping children to realize their full inner Potential. It seeks to become an agent for transformation in education and learning. 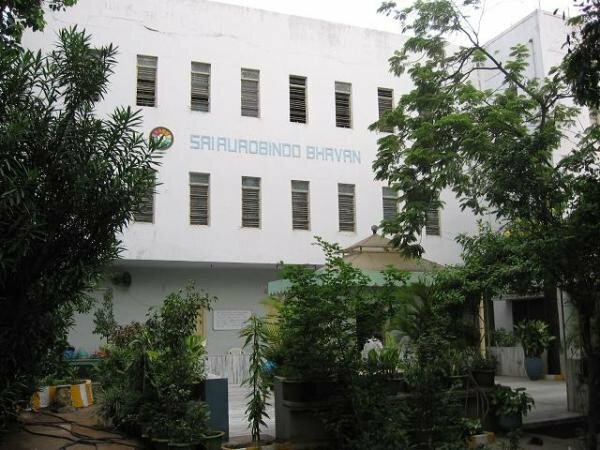 Sri Aurobindo Complex situated in J.P. Nagar, Bengaluru occupies an area of approximately one and a quarter acre and functions as an experimental laboratory in service of the Truth as envisaged by Sri Aurobindo & the Mother. This spiritual edifice vibes with the divine grace of Sri Aurobindo and the Mother and attracts many visitors who seek inner peace. The complex has a guest house, an exhibition space and a relics room. 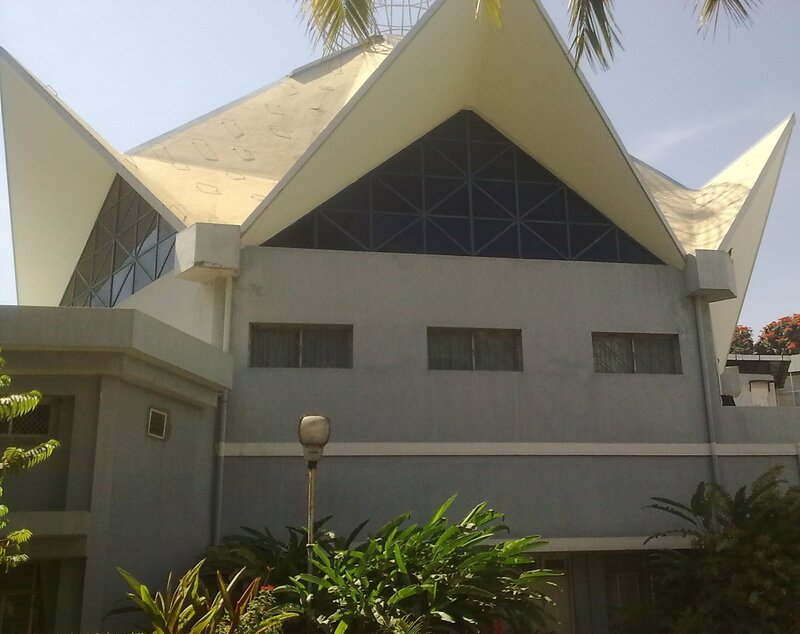 Besides talks, workshops and publication of books, the activities at Sri Aurobindo complex include classes for Meditation, Yogasana, Computer education, art and cultural activities. Sri Aurobindo Complex houses the Mirambika School for New Age, a CBSE affiliated school that aims at holistic development of children. Please visit the Rajasthan State Committee’s website to know about the activites, upcoming programs and more. Sri Aurobindo Divine Life Education Centre (SADLEC), Jhunjhunu, Rajasthan, is an autonomous wing of Sri Aurobindo Society, Puducherry. SADLEC aims to establish a research and education centre which shall carry out research and provide education from the prenatal to the postgraduate and advanced levels. The proposed institution will be essentially an educational research setup organised with the objective of evolving, realising and providing education by a most perfect possible system of Integral Education as outlined by Sri Aurobindo and the Mother. Sri Aurobindo Centre, Surat has been doing its spiritual work silently and quietly in Surat for more than last 50 years. The main activity has always remained that of assembling in the spiritual atmosphere of Sri Aurobindo and The Mother and strengthening the aspiration of its members in the light of the Integral Yoga of Sri Aurobindo. 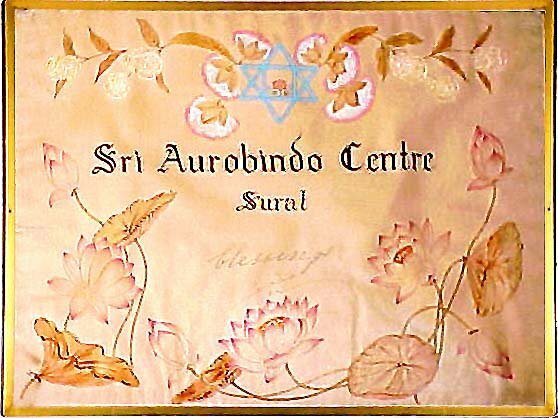 As the aspiration of the main workers of the Centre became stronger and stronger and in response to their prayer, The Mother, most graciously, gave her special blessings to this Sri Aurobindo Centre Surat.